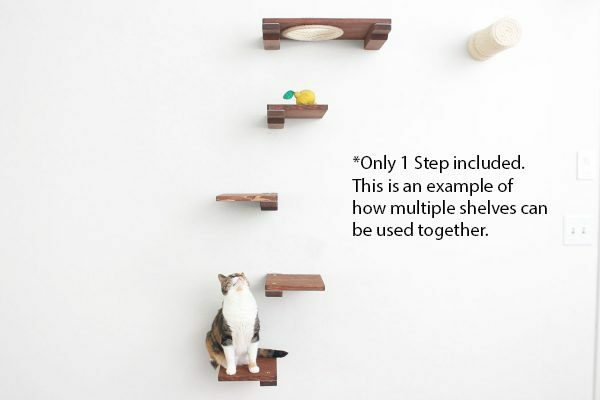 The Cat Mod – Step is a small shelf that connects to any other piece in Cat Mod collection. 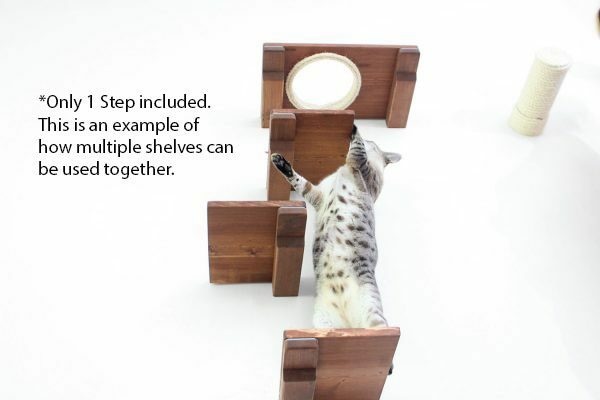 The Step is the first piece of furniture in our shop that can create a route for cats to get up and down walls using just one stud. 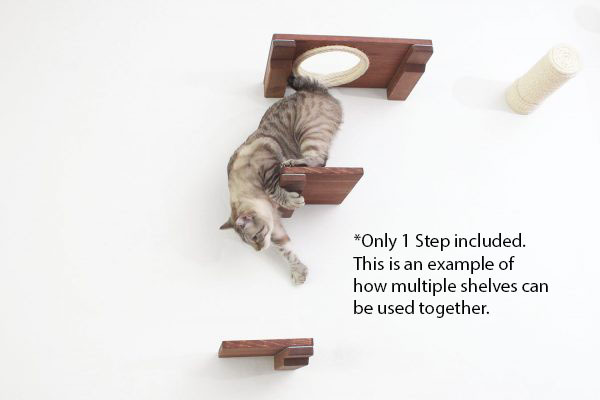 The shelf can be mounted to the left or right of its bottom plank. 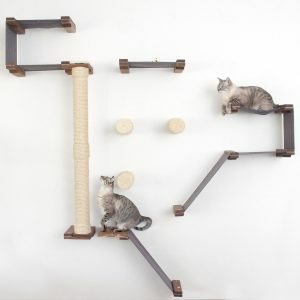 These are not meant for use as a bed or resting area, but instead as a way for cats to get to their beds and hammocks. When screwed into a stud, these shelves have been weight tested to hold 85 lbs each. 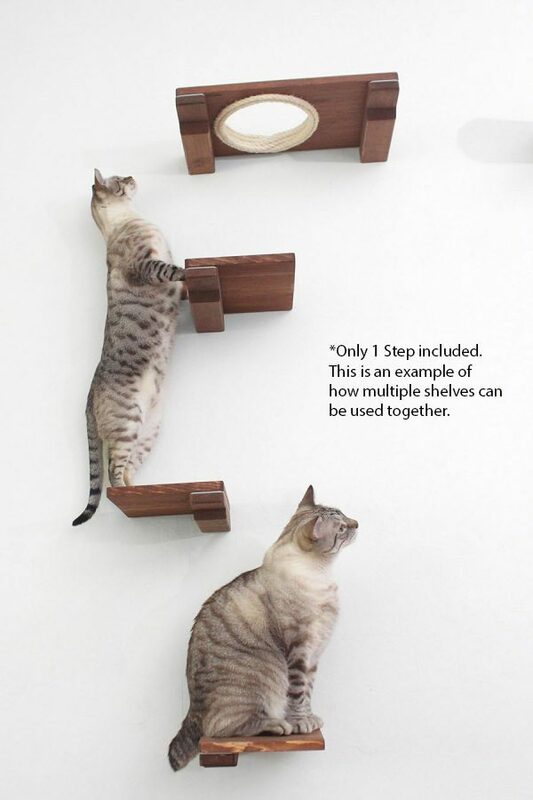 Easy to set up and the cats take to it easily! Thanks for a great experience. "Great design, I love that the brackets are hidden. Bought these to add on to a cat mod set I'd bought through Amazon. Great product and customer service. Highly recommend." 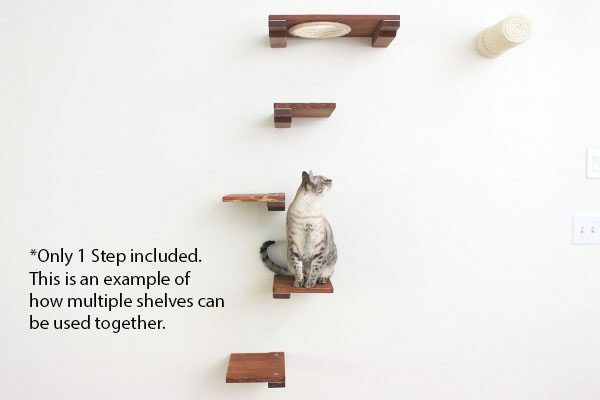 "Great floating shelf look, and my cat loves to pause here to survey the room on her way down from the rest of the shelves. 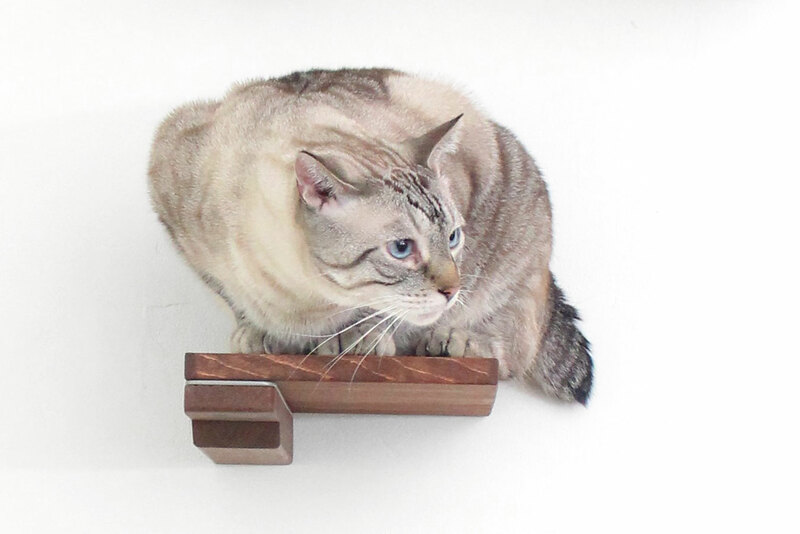 It was important for us to mount this shelf so that the majority of her weight landed on the stud rather than the shelf edge when she jumps down from a higher place. She's a 13 pound cat, so smaller critters might not need to make this adjustment."